120 Days found each other in Kristiansund, Norway, but decided if they ever were to reach out to a larger audience they'd need to move to another town. And so they pooled their money, bought an RV and drove it to Oslo and lived rent-free (you don't have to pay rent for the sidewalk) creating music in their tight-quarters studio/mobile home. Imagine a handful of Neu!, Spacemen 3 and XTRMNTR-era Primal Scream obsessed kids hanging in an RV in a city that sees periods of darkness that last for weeks on end. Then 120 Days makes a lot more sense. Imagine a handful of Neu!, Spacemen 3 and XTRMNTR-era Primal Scream obsessed kids hanging in an RV in a city that sees periods of darkness that last for weeks on end. Then 120 Days makes a lot more sense. The band plays hypnotic electro-rock with dark memories of Joy Divison and riffs that are New Order worthy. In 2004, then known as The Beautiful People (changed their name due to copyright when they got signed by Virgin) they released their criticly acclaimed first EP named Sedated Times. The summer of 2005 they toured Norway attending festivals including Quart'05, one of Norways biggest festivals. The band's second album (debut album in USA under the name 120 Days) was released on 10th October 2006 produced by Anders Moller, from Euroboys, mixed by Jorgen Troen at Duper Studios and mastered by Alan Douche in New York. 120 Days had its first rehearsal autumn 2001. The band consisted of four friends Jonas Dahl, Arne Kvalvik, Kjetil Ovesen and ?dne Meisfjord. They called themselves The Beautiful People, but later changed their name to 120 Days and released their critically acclaimed first EP titled ?Sedated Times' on the small Oslo label Public Demand Records in 2004. Late that year, they released their second EP, this time a self-titled five-track EP which caused quite a stir in Norway. 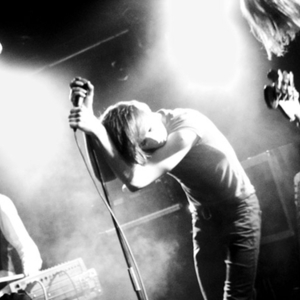 And after the band's gig at By:Larm in Norway, they sent shockwaves through a lot of industry people, and the gig resulted in the band being booked to both the Reading and Leeds Festival and the Sonar Festival, and this after only two Norway releases. Also the New York label Vice Records (Bloc Party, The Streets, Death From Above 1979) was deeply impressed by the gig and started chasing the band. Meanwhile the band continued to prepare for their debut album. By this time the band had found their home with the Norwegian label Smalltown Supersound (Jaga Jazzist, Lindstr?m, Kim Hiorth?y, Bj?rn Torske). Their self-titled debut album was produced by the band themselves and recorded in Oslo's Crystal Canyon studios in January and February 2006. The album was mixed by J?rgen Sir Dupermann Tr?en and the band in Duper Studio, Bergen, in April 2006.